By the time Zimbabwe’s new political winds of change reach its wildlife practices – the heart of its potential tourism industry – they appear to ebb to a light Chinese breeze. It appears to be business as usual, writes DON PINNOCK, and that’s not good news for elephants. The signs were encouraging at first. Soon after his inauguration, Zimbabwe’s new president, Emmerson Mnangagwa, endorsed a programme to save pangolins. He was quoted by his chief adviser as saying that, in light of the export of elephants, he would be reviewing conservation decisions and formulating a policy. He also pledged to conserve the country’s environment. Two local reports with unconfirmed sources fanned the enthusiasm. In January Bulawayo24 News ran a story that Grace Mugabe was under investigation for international ivory poaching. And the Daily News reported that Mnangagwa had banned the trade in live elephants following the global outcry in the wake of the sale of baby elephants to China last year. There’s a reason and it poses a tourism conundrum for Zimbabwe’s new leaders. The country has huge tourist potential which was a central pillar in the economy before the Mugabe meltdown. Zimbabwe is visually spectacular with abundant wildlife and star attractions such as the Victoria Falls, Hwange, Mana Pools and Gonarezhou national parks and Great Zimbabwe. But international tourists are generally well informed and stories like the killing of Cecil the lion by a bow hunter and running down herds in Hwange with vehicles and helicopters to capture baby elephants all do massive reputational damage to Zimbabwe’s image. Banning trophy hunting and wildlife export, as Botswana has done, would be a logical first step. But there’s a problem. China is Zanu-PF’s economic and political best friend. It may have banned the import and sale of ivory from January, but the living bearers of tusks are in hot demand, as is other wildlife, to stock Asian parks and zoos. Another best friend is US-based Safari Club International, a large, powerful and lucrative source of trophy hunters. According to the country’s National Elephant Management Plan, to secure a future, elephants must have value. In 2004 Zimbabwe set a massive export quota of tusks as trophies – 1,000 annually – which is still in place. This equates to 500 elephants which could be legally shot by hunters and their tusks exported. Between 2003 and 2013, according to the CITES database, more than 28 tonnes were exported from Zimbabwe by trophy hunters alone. How much poachers exported is anybody’s guess. Live export is another business. 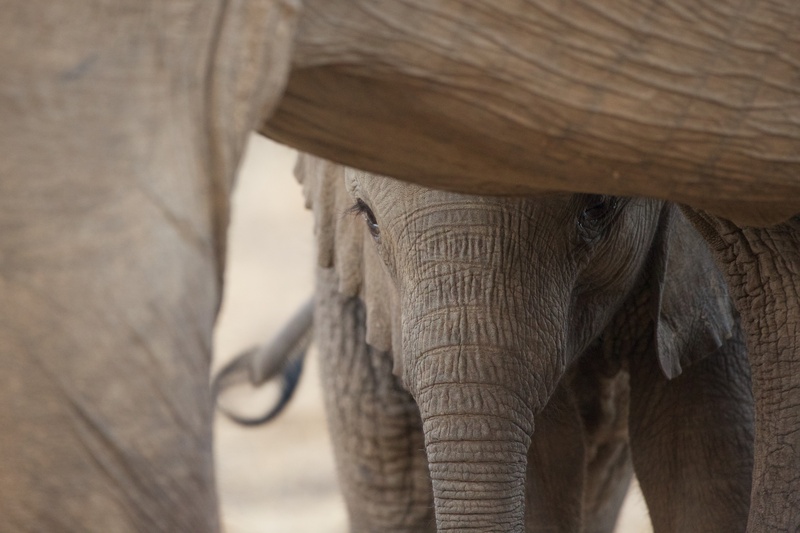 For many years, Zimbabwe has been selling baby elephants and other wildlife to questionable Asian destinations, creating extreme stress to Hwange National Park herds. In December last year 31 young elephants were flown to Chongqing and Daqingshan safari parks in China. According to eyewitness reports, the calves had open wounds and appeared ill and lethargic at the time of shipment on Ethiopian Airlines, indicating poor husbandry and handling. This was one of at least three known shipments of wild caught elephants sent to China since 2012, totalling nearly 100 calves. There have been constant reports and video documentation of cruelty to the youngsters. Conservationists are concerned that the elephants go to zoos with poor welfare records or where cruel methods will be used to make them into little more than circus performers. One destination is the huge and widely criticised Chimelong Wildlife Park, which includes a circus and stages a variety of dubious performances and stunts involving its animals. There’s little evidence that income from these animal sales is ploughed back into Zimbabwean conservation. A statement by Zimparks – quoted by Jeremy Hance on Mongabay – said “live sales of elephants to international destinations are done to generate financial resources for conservation programmes’. Grace Mugabe had other plans. Last year, before her political downfall, she is reported to have urged the sale of 35 young elephants, eight lions, 12 hyenas and a giraffe to settle a debt to China for equipment bought by Zimbabwe to help President Laurent Kabila in the Democratic Republic of the Congo (DRC). Zimbabwe, unlike other countries, has a unique wildlife conservation funding system in that no amount is allocated for conservation in the national budget. This forces struggling parks to shoot protected game for the pot and let infrastructure decay. Zimbabwe officials often claim that elephant sales are related to too many elephants and say selling is preferable to culling. They quite rightly point out that the transactions carry CITES permits. Total elephant numbers vary widely, depending on who’s claiming them. Zimbabwean environmental activist Kenesias Dambakurima was told by Zimparks Director-General Fulton Mangwanya that the country had 70,000 elephants but only the carrying capacity of 50,000, which leaves 20,000 for “export”. He also told him that the elephants being captured and exported are not baby elephants but adults. According to the Great Elephant Census, the country has more – 82,304 – but notes that this equals a decline of 6% overall and 74% in the northern regions. Muchinguri Kashiri has close ties with China. Several years ago she received a $3-million donation from its ambassador for wildlife protection equipment, described by environmentalists at the time as “extractive philanthropy”. She has been retained as Minister of Environment, Water and Climate in Mnangagwa’s new cabinet. This leaves Zimbabwe tourism at something of a crossroads. In plotting the way forward, President Emmerson Mnangagwa needs to urgently solve the conundrum between buying Chinese support through wildlife sales or rebuilding the country’s tourism industry. A letter to Mnangagwa from Humane Society International signed by 33 wildlife advocates globally in December 2017 urged the president to halt immediately the capture and export of young, wild elephants from Zimbabwe’s parks. A petition on Care2, also urging a halt, had gathered nearly 300,000 signatures by time of writing. It urged Zimbabwe to stop “capturing and exporting its elephants under the guise of conservation, and instead invest resources in maintaining elephant safety and elephants’ natural habitat, concentrating efforts on non-consumptive wildlife tourism”. 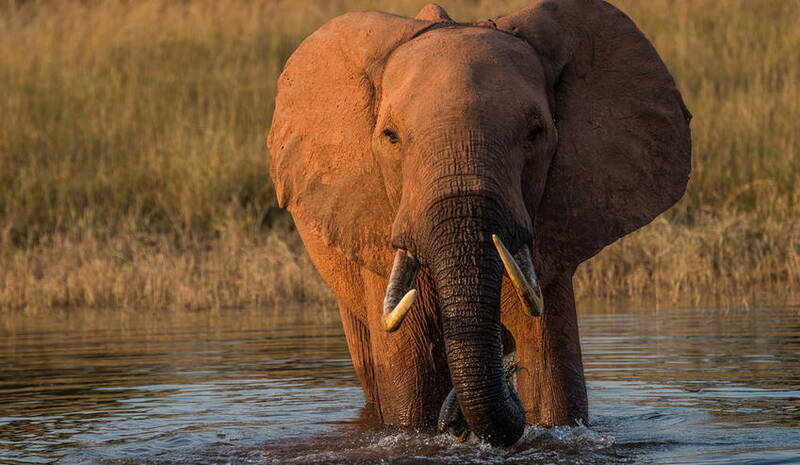 It urged the president to join the African Elephant Coalition – an alliance of 29 countries that has proposed a ban on the export of African elephants outside their natural range. It also asked that China stop demanding wild elephants for the purpose of human exploitation. “Does it make business sense to endanger your tourism industry, just to keep this barbaric practice [of exporting baby elephants]going? Zimbabwe is a beautiful and diverse country, with good wildlife populations, fantastic lodges and warm, welcoming people. “If you have any doubt about how the world of safari-goers feels about this practice …. why not ask them? Use social media to reach out – and ask them. Then get clever people to quantify the negative response into likely ongoing loss of tourism business.